This image was borrowed from Melville House, where it illustrates an article referenced later in this blog post. I just listened to an episode of the “Stuff You Should Know” podcast from howstuffworks.com from September 13 of last year entitled, “How Book Banning Works.” The podcast was inspired by Banned Books Week, and it talks quite a bit about court cases and censorship in the United States. Unfortunately, they didn’t do their research on the fundamentals very well, and the podcast reinforces some misconceptions about what book banning really is. I’m not implying it was a bad podcast — there was a lot of good information — but they really didn’t grasp what a book banning really is and who does them. Definitions, of course, can be troublesome. There is some disagreement on what “censorship” really means, for example — or even what book banning means. Every time I write a blog post like this one (see, for example, my tiff with Chris Kilham at Fox News over in my Tea With Gary blog), I think of Randall Munroe’s oft-referenced XKCD cartoon, “Duty Calls.” I don’t want to be that guy, but I do speak to schools about the subject of book banning and censorship, and I want to make sure that the information floating around out there is correct. Libraries are not the only place books can be banned. In the podcast, they say that you “challenge” a book by going to a librarian and saying you don’t want the book on the shelves. If the librarian agrees to pull it, the book has been banned. This is technically correct, but it’s a massive oversimplification. The process doesn’t have to involve a librarian at all. As an example, if you went to your child’s English teacher and said, “I don’t want my child to read this book you assigned,” that’s a challenge. For that matter, you could go to your city council and demand that a certain book not be allowed in stores in that town. That’s also a challenge, and neither of those involve a library. It’s usually not about the First Amendment. Notice the first five words? “Congress shall make no law.” The word “Congress” refers to the United States Congress. It doesn’t say that your local school board or city council or library board cannot abridge your freedom of speech. It refers only to laws passed by the U.S. Government. The librarian (or the Supreme Court) makes the decisions. Most schools and libraries have a policy in place for book challenges. Our local high school is typical. If a parent tells the school librarian that a book should be pulled, the librarian gives the parent a form to fill out. I love this particular form because it has a checkbox above the signature labeled, “I have read this book,” and a disclaimer that if you haven’t read the book, they aren’t interested in your opinions on it. Once the form is filled out, the librarian decides whether to pull the book. If the librarian chooses to refuse the challenge, the parent can either live with it or appeal to the school principal. If the principal agrees with the librarian, the parent has the option to appeal to the school board. In a public library, the chain of command might go to the library board and then the county commissioners or the city council. Either way, it does not go directly from the librarian to the Supreme Court of the United States. Removing a book from a library is not censorship. (Listen on YouTube. It never gets old). Librarians make decisions about books constantly. Tens of thousands of new books are printed every month, and a typical library is lucky to have the budget to buy one or two percent of them. The librarians must decide whether books are appropriate for their particular library. 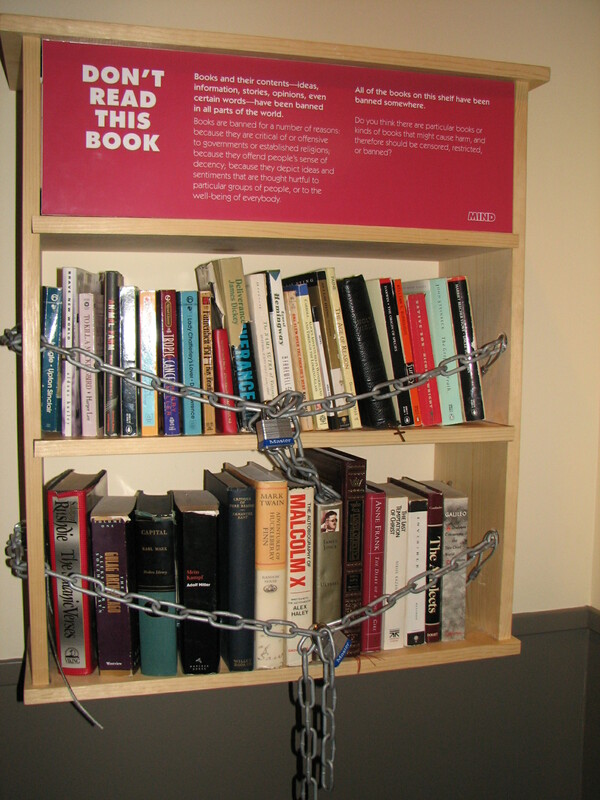 Choosing not to include a book isn’t censorship, it’s their job. That said, forcing a library to remove a book is a different thing. If a group of citizens descended upon the local library demanding that they pull my children’s books for having the word “poop” in the title, the librarian (or library board, or city council, or whomever) may just decide to go along. That, while it does qualify as a localized book banning, still isn’t censorship. People still have the option to buy those books at a local bookstore, or to read them in some other library, or to borrow them from a friend. There are still hundreds of thousands of copies floating around the country. The government has not prevented my work from being published or disseminated. I pulled the main illustration for this blog post from an article on the Melville House website. That article decries the “censorship” in the book, The Cartoons That Shook the World, published by Yale University Press. The book talks about the protests spurred by cartoons containing images of the prophet Muhammad, and Yale Press chose not to include the cartoons themselves in the book. They had their reasons for omitting the cartoons, but I don’t see it as censorship. Let me draw a parallel. No, I wouldn’t call that censorship. When I wrote The Closed Captioning Handbook for Focal Press, the book went through a fairly comprehensive peer review process. One of those reviewers declared that he didn’t want a copy of the book in his office because it included a chapter with details on U.S. 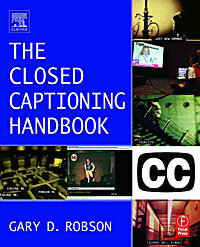 Patents relating to closed captioning. Owning a copy of the book, he felt, could create a situation where he was liable for treble damages if he inadvertently violated one of those patents, as he couldn’t claim lack of knowledge of the patent. My editor told me to remove the chapter. I wasn’t happy, as I had put a lot of work into those patent summaries. The publisher, however, is the one that writes my checks. I capitulated and removed the chapter. Censorship? Certainly not. That was good business, as removing that information increased book sales. The same is true for The Cartoons That Shook the World. If a teacher chooses to pull a book from his classroom rather than fight with the parents of his students, his students can still pick up a copy of that book somewhere else and read it. The author may not like it (we love having our books in classrooms), but it isn’t censorship.